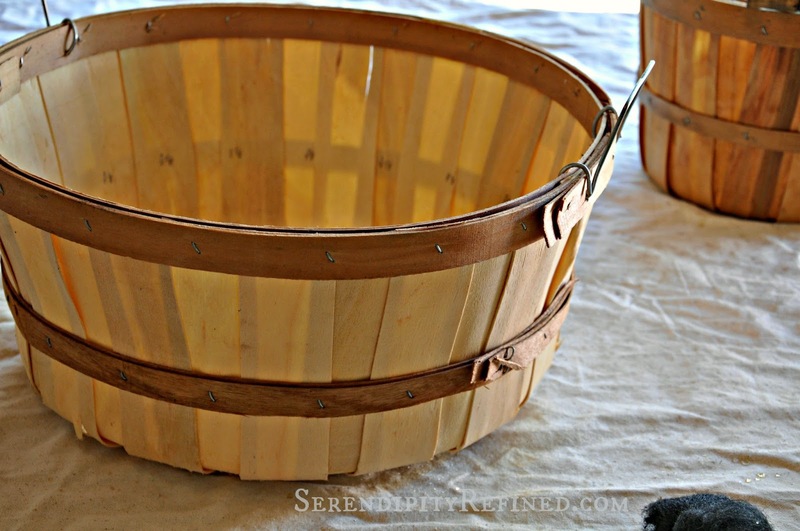 Today I'm going to show you a fast, easy way to age new bushel baskets (and any other light colored basket made from natural materials) using tea, white vinegar and steel wool. 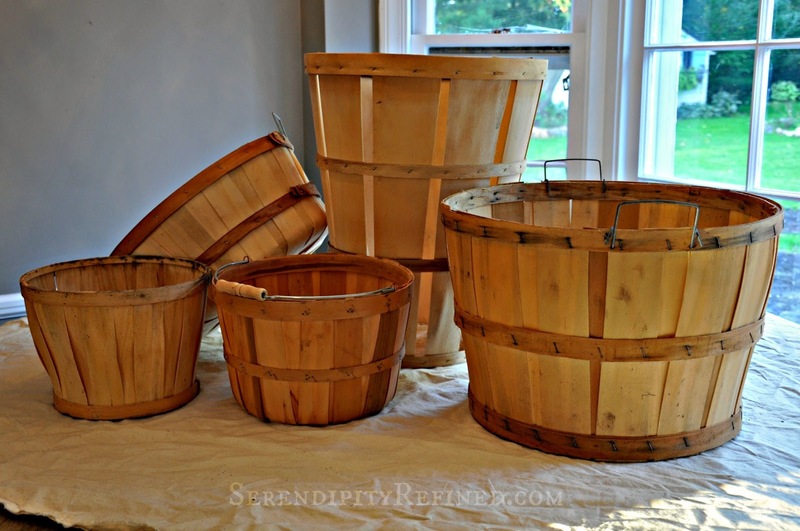 In about twenty minutes, you can make brand new baskets look like they've been around for years! 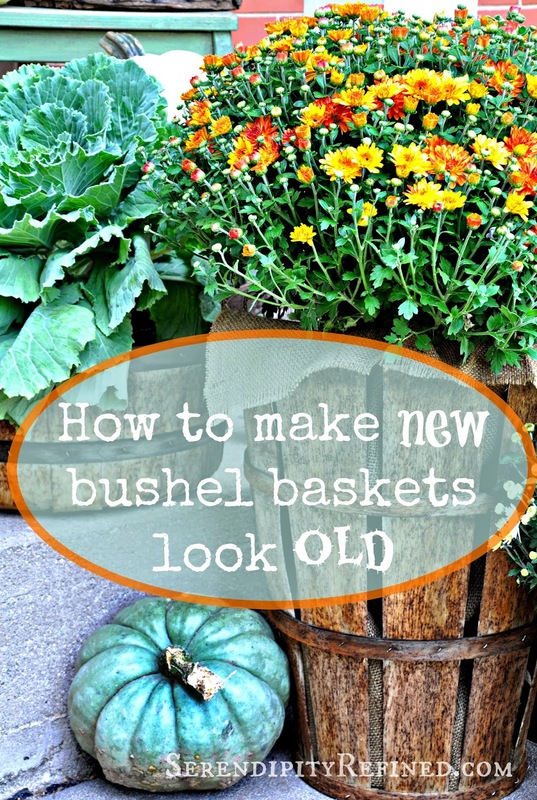 This week when I got ready to decorate the porch for fall, I discovered that most my fabulous stash of vintage bushel baskets were otherwise occupied. In other words, someone had used them to store piles of gardening stuff and potting supplies in the garage. Rather than go to the trouble of emptying them and trying to figure out what to do with the (literally) bushels of stuff that is in them, I grabbed a few new ones from my local hardware store/garden center. I knew when I purchased them that the baskets were too new for my liking. I needed to make them feel just a bit more rustic. 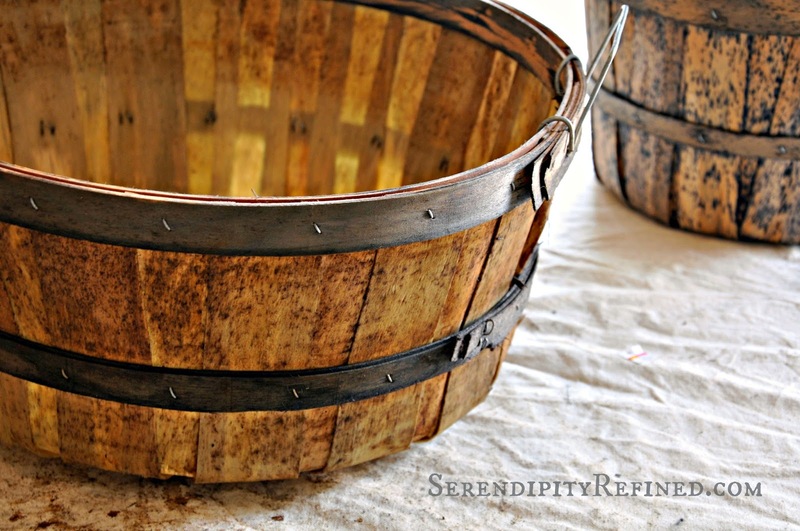 There are lots of different ways of making baskets appear old but since most of my existing baskets have aged naturally over time, I didn't want to use paint or stain. Instead, I simply made a couple of cups of black tea (cooled) and got out my white vinegar and steel wool. There's a reaction between the vinegar and steel wool with the tannins in the tea. It's so much fun because you can literally watch the basket darken. 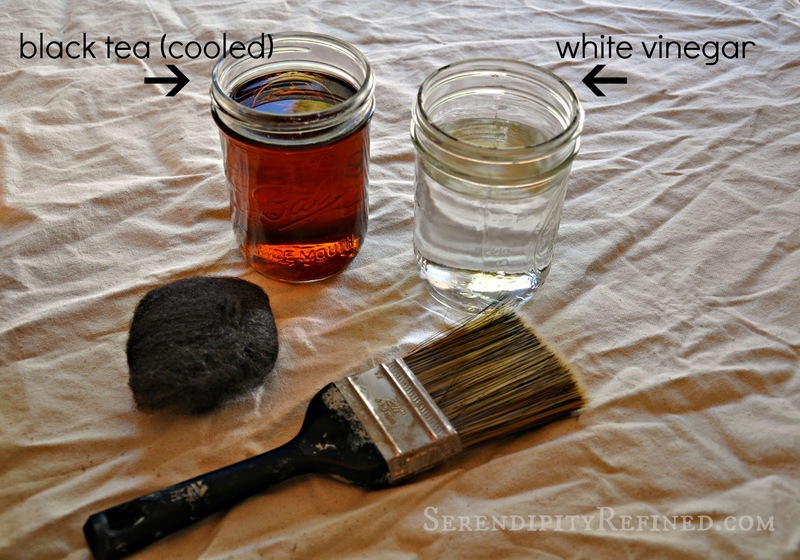 If you want a darker color, simply soak the steel wool in the vinegar over night prior to using it. 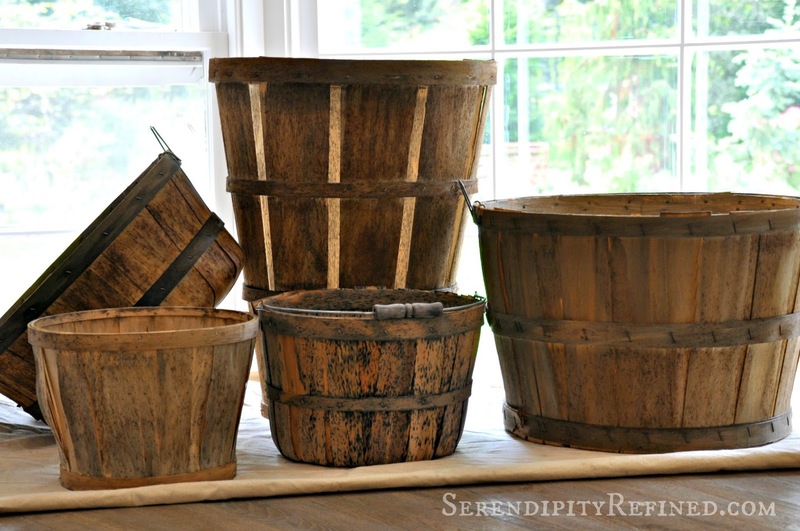 If you'd like to see more of my tea and vinegar-aged bushel baskets and how they look on my porch, stop by on Friday! 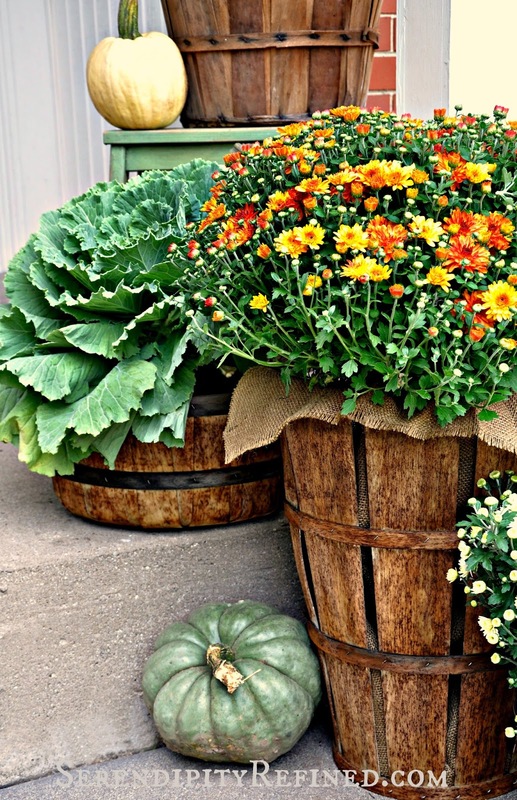 I'll be sharing my porch, all dressed up for fall and I'll bet that you'll hardly be able to tell the baskets that merely look old from those that actually are old!